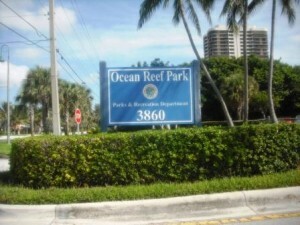 With free parking and great amenities, Ocean Reef Park is a must stop for locals and visitors. 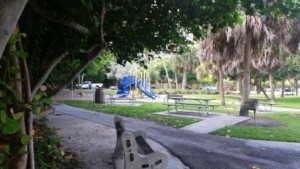 Park features picnic tables with grills, covered pavilion, play structure and lots of trees for shade. 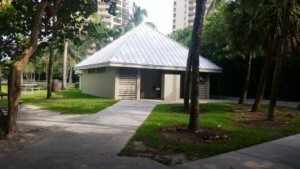 Restroom facilities, water fountain and outdoor shower all conveniently located. 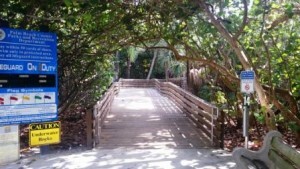 Many people enjoy coming to Ocean Reef Park for its more secluded area and of course for the free parking which is rare in South Florida. 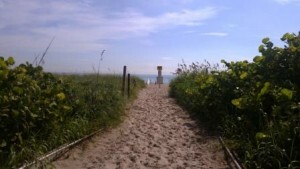 You can walk over to the beautiful guarded beach where the ocean water is clear with lots of sea shells to add to your collection. There is an area on the left side of the beach with rocks that you need to be aware of especially for children, but you can spot families of small fishes around the rock formation. 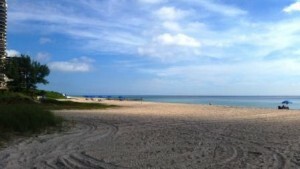 Ocean Reef Park is also very popular for snorkeling especially during high tides. 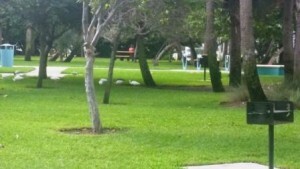 Ocean Reef Park is a great venue for a birthday party however leave the balloons at home. 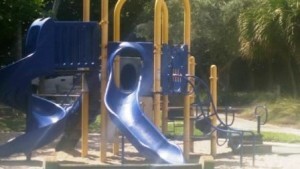 Starting September 1, 2017, balloons will be banned at this park. To protect wildlife especially sea turtles as they think balloons are jellyfish, there will be a $500 penalty for violation. 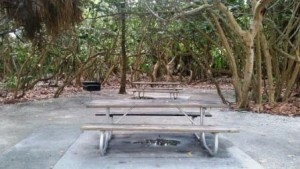 This ban is for all Palm Beach County beachfront parks that have picnic areas that are available for rent.